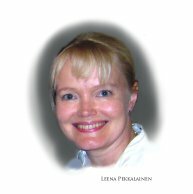 My name is Leena Pekkalainen. I am one of those people who can never really answer the inevitable question why did I get interested in ancient Egypt. I just loved it, ever since childhood. 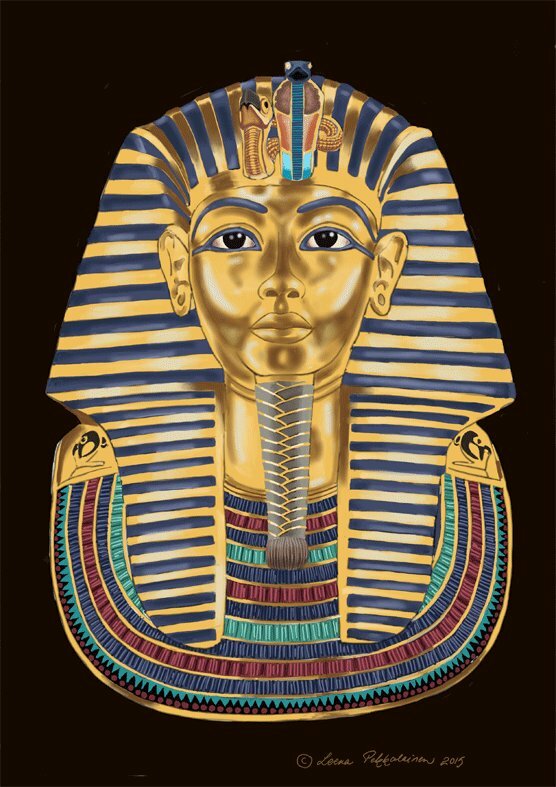 I studied Egyptology at the University of Manchester. First three years for the Certificate in Egyptology, which I received in 2012. And then, when the very first Diploma in Egyptology course started in 2012, I applied, and was accepted. 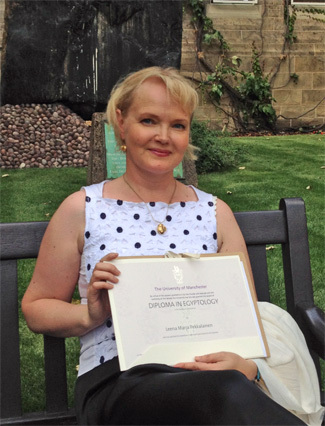 I received the Diploma in July 2014. 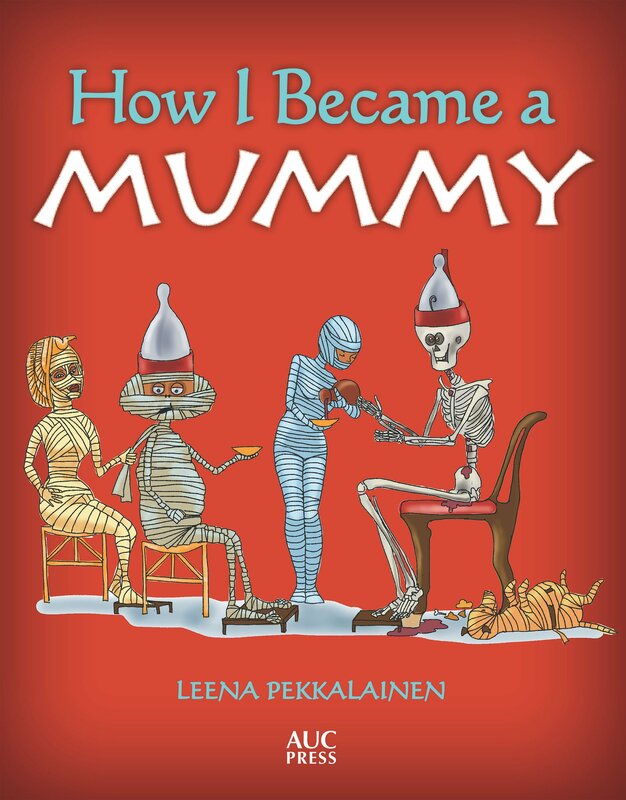 As for Mr Mummific - well, you can read about how he appeared one day by going to the home page. The cheeky little pharaoh sure has his opinions about anything Egypt, and I am not quite certain when he is making fun on me. 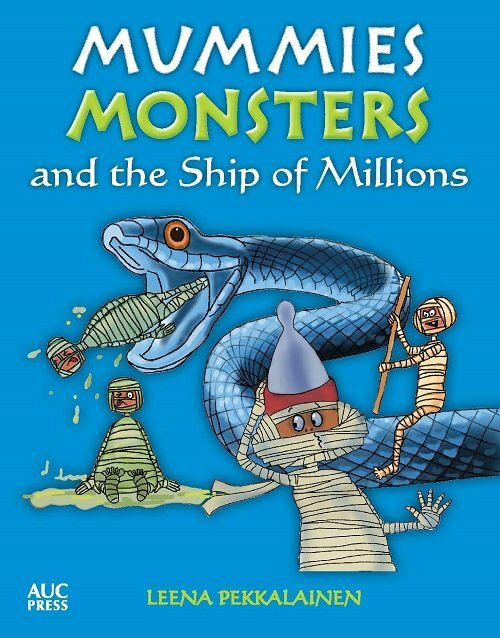 But I have tried to gather the actual facts to one page , and Mr Mummific's versions to another. 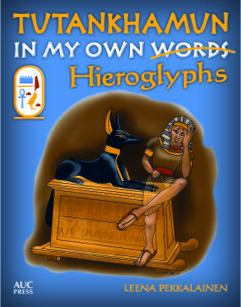 Thus, you can read the site as a Mummific novel, or as an Egyptological site based on facts. If you get interested enough on the subject and would like to study it, you don't necessarily need to leave your home, and you can study when you have the time. 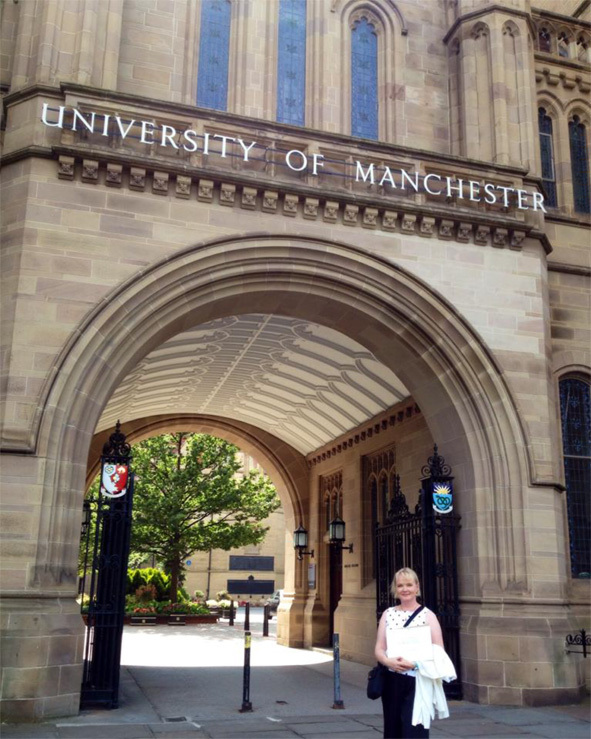 The University of Manchester's distant learning courses are taught by professors, and the quality of the teaching is obviously of university level. Study materials are offered in the course, but you need to buy books too. You'll have 4-6 assignments per month on the Certificate and Diploma level, and you are expected to write several essays (don't worry - if you can write, you can do them, but you need to take the work seriously). You'll need to take part in study forums, and discuss ideas and theories there. And you will meet people who are just as crazy about ancient Egypt as you are… Online and in real life if you so choose. When I met Tilly and Hazel, two other Diploma students in London, we did the normal squeal-and-hug-procedure at the gates of the British Museum. And the next sentence after that was about ancient Egypt. So go ahead and read the pages. Check the links and books. And if you are interested in studying Egyptology, just take that first step.